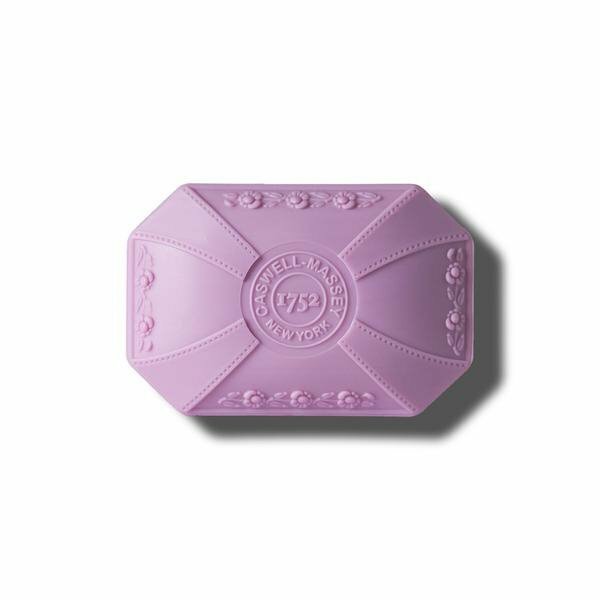 Caswell-Massey Lilac Soaps, Lotions, Powder and Body Wash - P.C. Fallon Co.
Caswell-Massey has reintroduced the delicate, romantic scent of Lilac in its Vintage collection. In Victorian times, lilac was a symbol of first love. Lilac is available in triple-milled soap, bath and shower gel, hand cream, body lotion, and fragrant powder. All are beautifully packaged for a perfect presentation for your everyday enjoyment, or for gifting. Currently available items are usually In Stock. These soothing, gentle products are formulated to be pure, with absolutely no sulfates, phthalates or parabens. Founded in 1752, Caswell-Massey is America's original apothecary. Today, Caswell-Massey continues that tradition of excellence with its collection of beautifully scented bath and body products. Lilac is part of the Vintage Collection. Rest assured that Caswell-Massey Lilac bath and body products are extremely gentle to your skin, and are made without sulfates, phthalates, parabens, or animal testing.